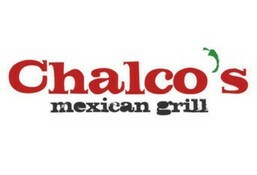 Chalco's Mexican Grill is currently closed for delivery and it will open at . A flour tortilla filled with Spanish rice, pinto beans, lettuce and your choice of meat, wrapped and topped with enchilada sauce, melted cheese, sour cream, pico de gallo and guacamole. Plate of French Fries topped with your choice of meat, cheese, sour cream and salsa. Grilled peppers and onions with your choice of meat accompanied with side of rice, beans, guacamole, pico de gallo and a side of tortillas. [Gluten Free] Two small corn tortillas filled with your choice of meat, wrapped and topped with enchilada sauce and cheese. Includes a side of rice and beans. [Gluten Free] Crispy rolled tacos filled with your choice of meat, includes a side of rice and beans, lettuce, sour cream, guacamole and pico de gallo. A large 12 inch flour tortilla filled with chicken, chile con carne, steak, lettuce, rice, beans, sour cream, cheese and salsa. A large 12 inch flour tortilla filled with French Fries, your choice of meat, rice, beans, lettuce, cheese, sour cream and salsa. An extra large flour tortilla filled with your choice of meat, lettuce, cheese, sour cream, rice, beans, salsa and pico de gallo. An extra large flour tortilla filled with rice, beans, choice of meat, cheese, sour cream, choice of salsa and stuffed with fries and guac. A flour tortilla filled with Spanish rice, pinto beans, lettuce, wrapped with veggies, topped with enchilada sauce, melted cheese, sour cream, pico de gallo and guacamole. A large 12 inch flour tortilla filled with Spanish rice, pinto beans, lettuce wrapped with veggies, topped with enchilada sauce, melted cheese, sour cream, pico de gallo and guacamole. Grilled peppers and onions with veggies accompanied with side of rice, beans, guacamole, pico de gallo and a side of tortillas. Two small corn tortillas filled with veggies, wrapped and topped with enchilada sauce and cheese. Includes a side of rice and beans. Crispy rolled tacos filled with veggies, includes a side of rice and beans, lettuce, sour cream, guacamole and pico de gallo. A large 12 inch flour tortilla filled with French Fries, veggies, rice, beans, lettuce, cheese, sour cream and salsa. An extra large flour tortilla filled with rice, beans, veggies, cheese, sour cream, choice of salsa and stuffed with fries and guac. Fries loaded with chilli beef and cheese. Bowl filled with rice, chile con carne, cheese and sour cream. [Gluten Free] Crispy tortilla chips and a small guac [3 ounce]. Refried beans and cheese wrapped in a flour tortilla.